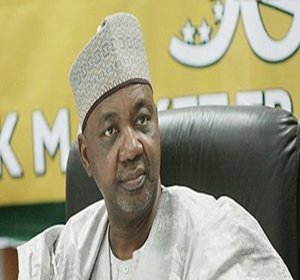 Independent Corrupt Practices and Other Related Offences Commission (ICPC) operatives yesterday raided the Kaduna home of former Vice President Namadi Sambo. They had a search warrant and a bullion van. It was learnt that the operatives of the anti-graft agency stormed Sambo’s home on Alimi Road, Kaduna about 3pm. Eyewitness accounts also said the ICPC operatives, who rode in a bus, two Hilux vans and a bullion van, searched the house for two hours. According to the residents, “They (ICPC operatives) came with heavily armed security personnel and raided the house for two hours between3pm and 5pm”. When our correspondent visited the house, fierce-looking securitymen threatened to shoot at anyone who came close to the house. They did not listen to reporters. “We are not sure whether this time they found something in the house. But we are suspecting something, because this time, they came with a bullion van,” a resident of the area said. A source close to the former VP said anti-graft agencies had raided the house five times without finding anything. The spokesman of the former Vice President, Mallam Umar Sani, said the ICPC officials came with a court order to search the residence and tha it was not the first time. He added: “This is not the first time they are searching the house. They have csearched the house on several occasions. Today, they came with a court order and gave a copy of the court order to the CSO (Chief Security Officer) in the house. “After they finished the search, they wrote at the back page of the court order that they gave to the CSO that they didn’t find anything and they left.